This past January, I was contacted by Chany from MiChicas Events & Catering. 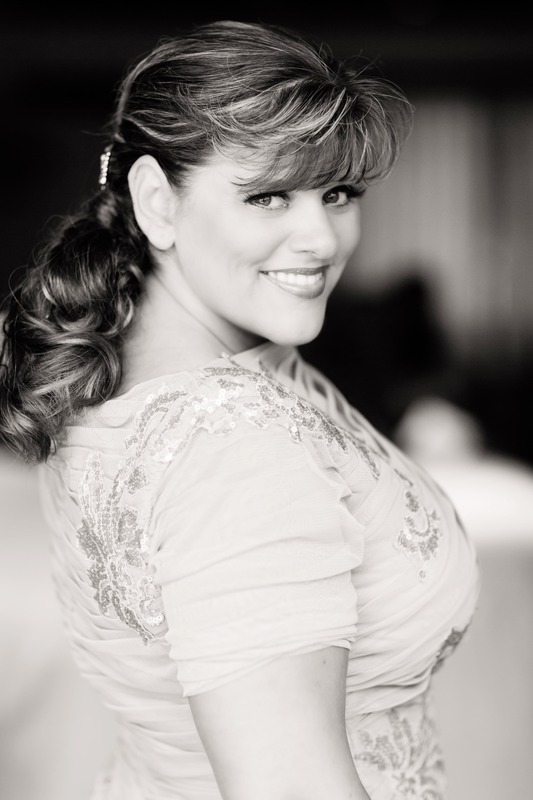 Chany & her mother Davii were a catering company that was also doing event planning but that wanted to get more business in event planning & design and slowly phase out the catering portion of the business. Located in Spring Valley, New York, this mother-daughter team made up of two real go-getting women who have quite literally changed their business in just a few months. When Chany first approached me about mentoring them, I had already been considering starting a consultancy program for event planners, designers and caterers but had not formally marketed it. They quite literally convinced me jump start the Consultancy for Creatives. When I started to look at what Chany and Davii were showcasing on their website, how their brand read to the consumer, the types of events they were doing and hearing from them where they wanted to go, I knew that this was going to be something I was called to contribute to the wedding & event industry. What I learned about them is that they are willing to do anything they need to in order to meet their goals. No stone has been left unturned in their transformation from catering & event planning company into a world-class event planning & design company. We started with their logo. The logo was originally a bit cart0on-y for my taste, although I could appreciate the “Charlie’s Angels” -esque idea, it didn’t tell about the glamour and finesse that they bring to their events, it didn’t sparkle like their personalities and didn’t feel elegant. 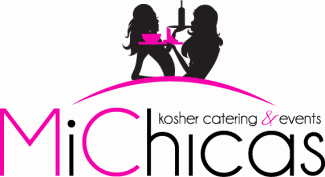 Also altered was the company name from MiChicas Kosher Catering & Events to Mi Chicas Celebrations. Their website was the next piece to work on in order to change their brand. 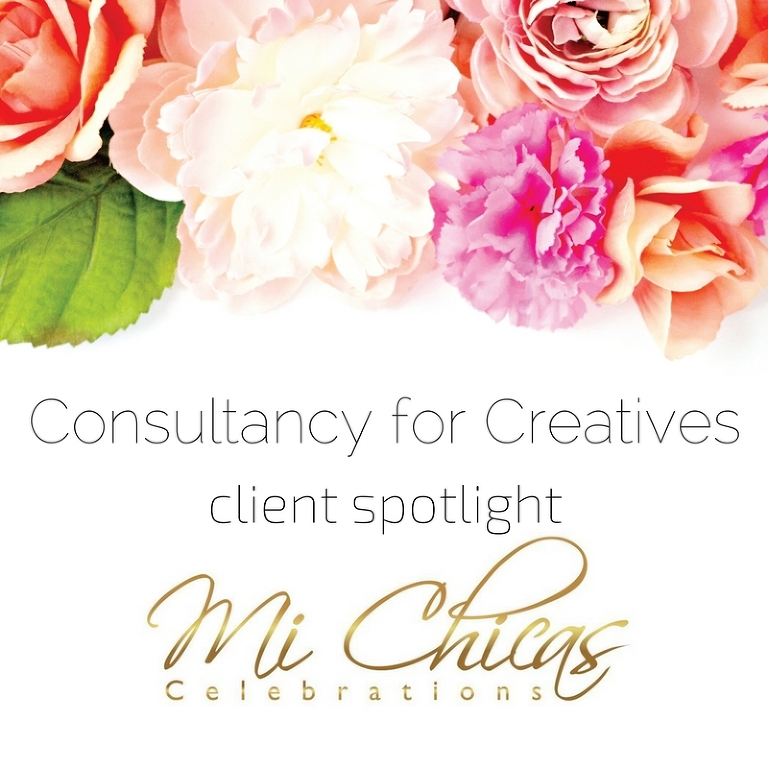 The MiChicas Celebrations website launched just a few weeks ago and feels clean, is easy to navigate and showcases all the information that a couple or a corporate client need in order to want to learn more about their services. If you’re looking for help with your business so you can take it to your next level, get info on our consultancy program!